Most people prefer to stay in their own home in familiar surroundings. In-home care can be less expensive than institutional care. In-home care is personal (one-to-one relationship). The median age of our caregivers is 52 years old with 20+ years experience caring for others. The Covenant Home Care owners conduct personal in-home evaluations with each client. We assign a back-up caregiver to each client in case the primary caregiver has an emergency. 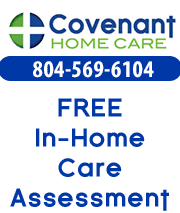 Covenant Home Care’s rates are competitive and we work with each family to provide just the coverage that is needed at the best possible price. We have no up-charges of any kind (not even for holidays). At Covenant Home Care our rates are simple in order to make your planning simple. Our focus is on stewardship to our community. 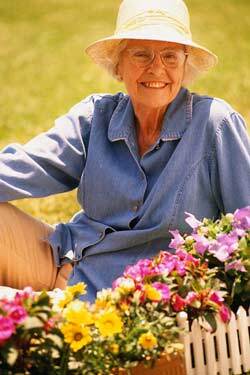 We actively participate in the Richmond Senior Network and the Chesterfield Council on Aging. We also actively support the Alzheimer’s Association in the Richmond area, and we have a Certified Senior Advisor on staff. Covenant Home Care is a ministry as much as it is a business. Serving others is our calling, which is why we support Ashland Christian Emergency Services and Needle’s Eye Ministries, Inc.
At Covenant Home Care your family is our family. Our owners provide their clients with their cell numbers so that you can reach them at any time. … We are locally owned and in your backyard…! We serve clients in the Greater Richmond area, which includes Ashland, Glen Allen, Mechanicsville, Petersburg, Hopewell, Colonial Heights, Goochland, Powhatan, Doswell, Montpelier, Rockville, Beaverdam, Ladysmith, Ruther Glen, Chesterfield, Chester, Short Pump, Bon Air, Lakeside, Highland Springs and Henrico.